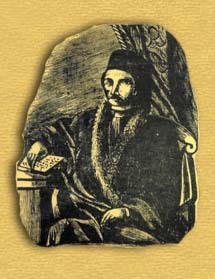 Theodore Papa Paraschou Phokaeus is interesting for the science of Musicology and also the history of the evolution of the music mainlyu for three reasons, because threefold was also his decisive contribution: as a composer of new melodies, as the preserver by scripture of makamia and songs, and as a publisher of basic music books. For Theodore Phokaeus we know the dates of three important events in his life due to a biography which was published ny his son Constantine immediately after his death in 1851, and was republished by his other two children, Alexander and Leonidas, in 1863 and 1869, but also because of the news that he himself left us, either in the prologues or the announcements of his publications. A useful source here is the long section from his biography, which seems to have been composed by Onouphrios Byzantios. «Theodory Papa Paraschou was from Ionia, Phokas, born in 1790...». His father Paraschos was a priest, a first warranty fot the advancement of the young Theodore. He made his first musical steps close to his father. Young in age he lost his sight for nine whole years. This acted as a serious obstactle to his studies. He was blinded at the age of about fifteen, in 1805, and was cured in 1814. He learned the Old Method of musica notation in Kydonies from his brother Athanasios, a few years before he left to go to Constanstinople. He had an acute musical understanding and had learned well the psaltic art in Kydonies, because when he arrived to Constantinople, he soon became cantor at St Demetrios at Tatavla, chanting together with his teacher Chourmouzios, but for a short time. In Constantinople, his zeal for perfection in the Psaltic Art and learning of the New Method led him to Gregory Protopsaltes, then Lambadarios of the Great Church of Christ. The influence of Gregory onto the work of Theodore is clear, as his study of the the Greek and Turkish songs and their publication can only have arisen from Gregory. Nonetheless, Chourmouzios was also his teacher, since they chanted together at Tatavla. He chanted for more than 30 years, the first six as Lambadarios of St Demetrios at Tatavla with the Teacher Chourmouzios, and the rest as Protopsaltes of St Nicholas at Galata with the ever-memorable Stavrakes. Theodore Phokaeus informs us that in 1843 he stopped chanting in the Holy Church of St Nicholas at Galata, because his physical strength do not allow this work any more. In the last decade of his life, Theodore focused on the publication and his personal compositions. However, he never stopped until his death to teach psalmody and external music. He started teaching at least 2-3 years after his attendancy at the Music School of the Nation, namely around 1820-21, when the School closed. He did not teach music as a hobby, but systematically, as in a school and earning money for living. His multiple obligations and responsibilities which he had taken, together with his publications and his care to fulfill them, tired him physically and mentally and kept him far from music composition. And indeed it seems that he created his private work in the last decade of his life, as is seen from the fact that in his last two multivolume editions: the Musical Bee (4 volumes, in 1848) and the Tameion of Anthology (3 volumes, in 1851) he collected his own compositions, several of which are subtitled as «new» compositions. The only thing that evidently brings joy to him is that «his additional new melodies has been submitted to the judgment of His All Holiness and the Holy Sacred Synod around him, and having been examined, were accepted and deemed worthy to be published, as not new-sounding, but as strictly keeping the style and the melody of our traditional sacred ecclesiastical music». The work of Theodore was quickly dissipated, was recorded in manuscripts in the Holy Mountain and elsewhere, and won the attraction of cantors because of its simplicity and its rythmic melody. On the 3rd of October of 1851, he died relatively young, as a man of virtue, being «still necessary to society». Returning back to summarize the three folds of his actions and to measure his contribution to music, we must note that he composed in the last years of his life, deeming the compositions of his predecessors, as well as his contemporary teachers, as «perfect» melodies, and are noted in his Crepis as necessary lessons which must be taken by anyone who wants to perfect himself in the Psaltic Art. Publishing his Crepis in 1842, he makes comments against the Lesbian System, which he deems as new-minded, and he does not forget, as in almost all his introductions, to praise the benefactors of the nation, the three Teachers and explainers of the New Method of analytic semeiography. His teaching contribution in the Theory of music is witnessed in his chapter on «Orthography», which as an editor was the most appropriate to compose. In the other contribution of Phokaeus, namely of the writing and publication of the songs, a lesson he calls «Kiari» is important for the use of the advanced in music. His publication activity started in 1830 with Efterpe, and finished with his death in 1851, when he saw printed the first volume of his three-volume Anthology. In the duration of 20 years, he published eight works plus the two last multivolume works, ten basic books books, which are historic monuments of psaltic art, but also artistic monuments of typography. His publications came out in 2,000 copies each. The Anastasimatarion and the Anthology of Gregory Protopsaltes he published in two editions, The evolution of psalmody owes a lot to the publishing works of Theodore for the stability and promotioin of the psaltic tradition. An important part of modern Greek history form the lists of subscribers in the end of his publications. At the end of the Collection of Idiomels (1831), the Anastasimatarion (1832 and 1839), the Bank of Anthology (1837), the Calophonic Heirmologion (1835), the Pandora (1843), and in pages 202-231 of the fourth volume of the Musical Bee (1848) there are the names of many hundreds of subscribers, with their profession and their place of origin. Hierarchs, hieromonks, monks, cantors, and music lovers from all the places of Orthodoxy were the sources of music civilisation. Anoixandaria in mode pl. IV. «Blessed is the man...» (three): «greatest» in grave mode and pl. IV mode, and «short» in mode pl. IV. Ecclesiastical Kekragaria, in the eight modes. Dogmatic Theotokia of the Octoechos (excluding those of pl. II, grave and pl. VI modes). Idiomel stichera of the Octoechos; the resurrectional of the Lauds of modes III and pl. VI, the resurrectional vesper stichera of mode VI, and the ressurectional aposticha of modes pl. I and pl. II. Φῶς ἱλαρόν, in mode pl II. Doxastikon of the Matins' aposticha of Holy Wednesday, «Κύριε, ἡ ἐν πολλαὶς ἀμαρτίαις», mode pl. IV (slow sticheraric melody). Two «Κατευθυνθήτω», in modes pl. I and pl. II for the Presanctified Liturgies. Four «Νῦν αἱ δυνάμεις», in modes I, IV, grave and pl. IV. Lesson «Θεοτόκε Παρθένε», octaechon (shortening of the composition of Peter Bereketes). Lesson «Πανάγιε Νικόλαε» in mode pl. I (shortening of the composition of Daniel Protopsaltes). Polyeleos «Ἐξομολογεῖσθε τῷ Κυρίῳ», in mode IV legetos. Ecloge: two Λόγον Ἀγαθὸν, in pl. IV and grave tetraphonic modes. Theotokion for the ecloge, and the polyeleos of Chourmouzios Chartophylax. Δέσποινα πρόσδεξαι in pl. IV. Psalm 50, with the following Ταὶς τῶν Ἀποστόλων - Ἀναστὰς (two) in grave and pl. IV modes. The compunctional troparia of the Triodion «Τῆς μετανοίας - Τὴς σωτηρίας – Τὰ πλήθη» in mode II. Five great Doxologies in modes I, grave, II, II chromatic starting from Ni (pl. IV chromatic), III, grave from Zo. Calophonic heirmos «Νῦν πεποιθώς» in pl. IV. Trisagion, Dynamis, Holy God... in mode II. «Lord, have mercy», (and «for the Artoklasia») one series per mode (two in grave mode). Eἰς πολλὰ ἔτη - Δόξα σοι Κύριε, mode III. Cherubic hymns, for Sundays and feasts, great, a whole series, and another whole series of short ones. Σιγησάτω πάσα σάρξ, in mode pl. I.
Ἄξιόν ἐστιν, in modes III, IV legetes, pl. II, grave. Communion hymns of Sundays «Αἰνεῖτε» per mode, eight. Communion hymns of the feasts, eight. Communion hymns for the leave-taking of modes «Μακάριοι οὖς ἐξελέξω», per mode, eight. He explained many songs, Greek and Turkish, which were written in the notation prior to 1814, and published the books Euterpe and Pandora. Some songs must have been «τόνισμα», namely transcription of their melody by Theodore Phokaeus. He published the following important music books: Euterpe (1830), Collection of idiomels (1831), Anastasimatarion (1832 and 1839), Anthology of Gregory Protopsaltes (1834 and Ι837), Calophonic Heirmologion (1835), Doxastarion of Iakovos Protopsaltes (1836), Kripis (1842), Pandora (1843-1846), Musical Bee (1848), Anthology (1851, the first volume).